As I said, no matter if you prefer vegan ingredients or not, the method remains the same: Crumble butter biscuits or graham crackers and grind them further in your food processor. 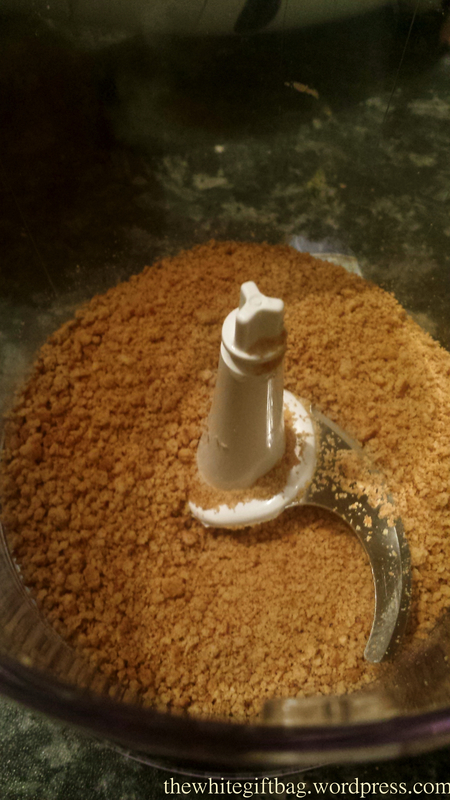 If you don't have a food processor, just pestle them as good as possible with a mortar. 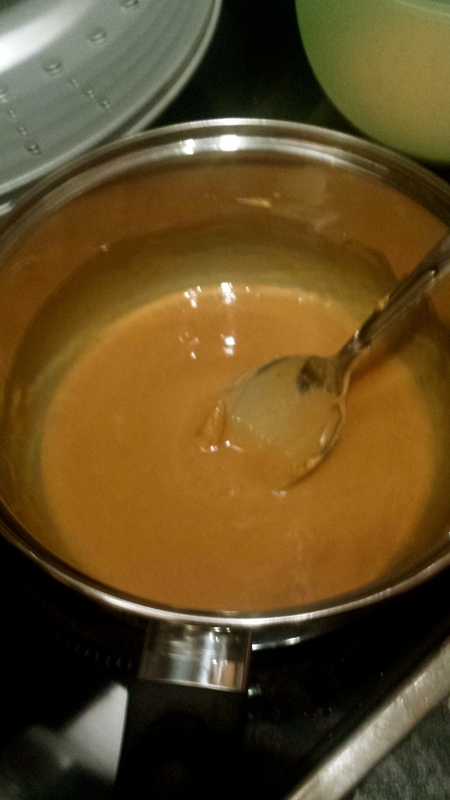 Put together butter, peanut butter and brown sugar in a small pot... … and melt it on medium heat. 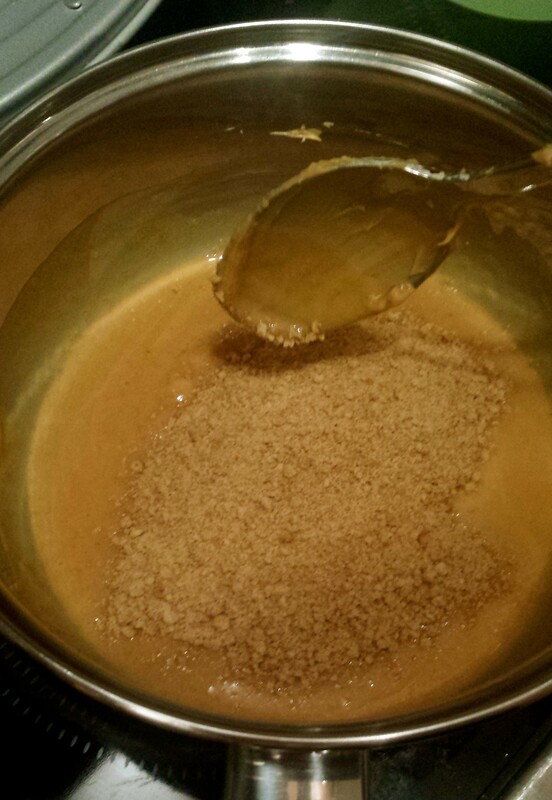 Add biscuit crumbs, stir and take from stove. 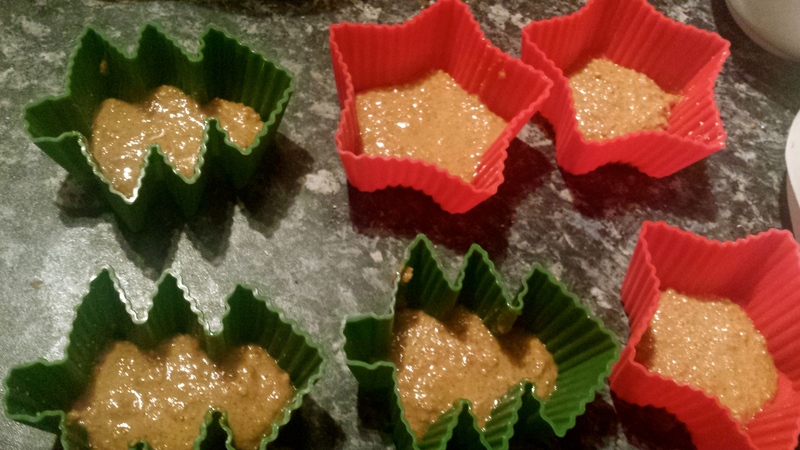 Spread the mixture evenly across the muffin liners. 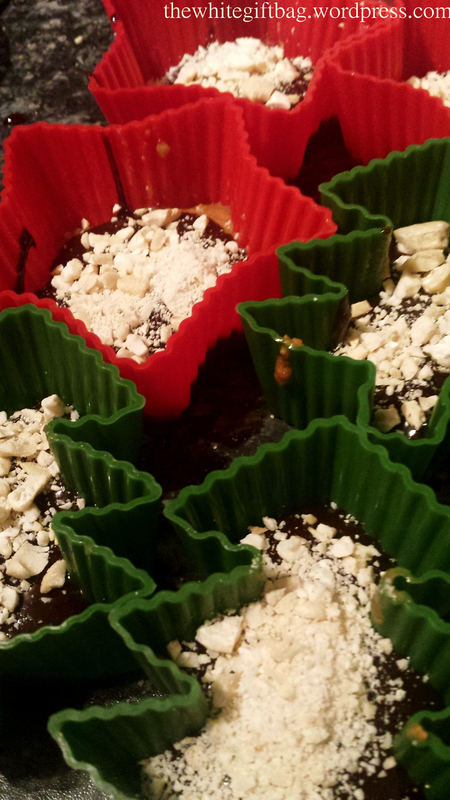 I like to use muffin liners made from silicone as they are reusable. 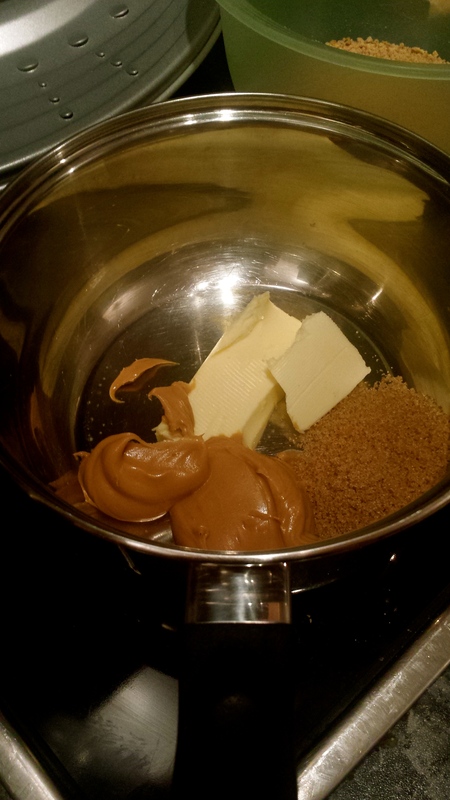 Melt chocolate and milk in a pot on medium to low heat. 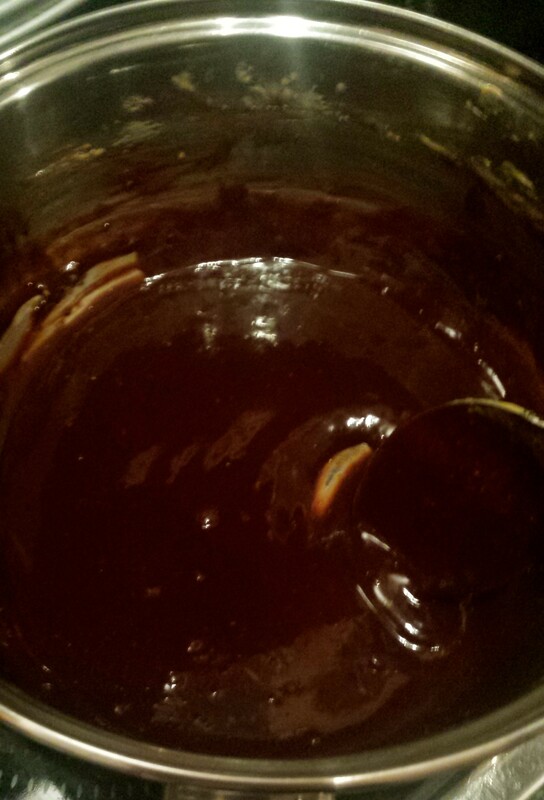 Divide the softened chocolate mixture between the 6 muffin liners. 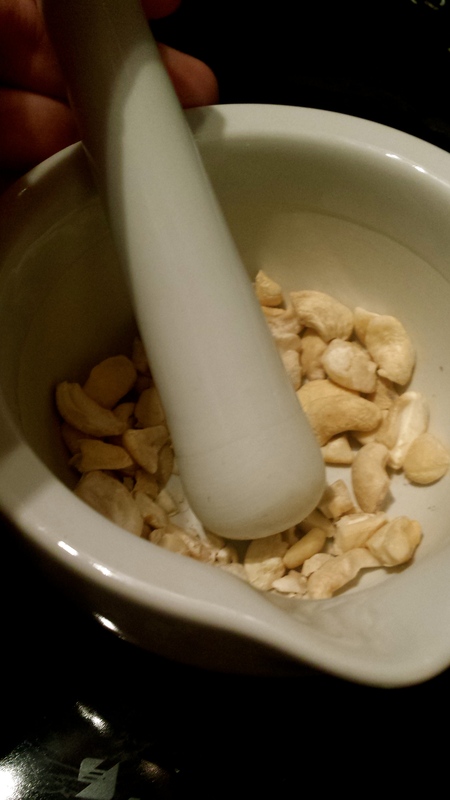 Crush the cashews (or other nuts of choice) in a mortar or leave them whole. 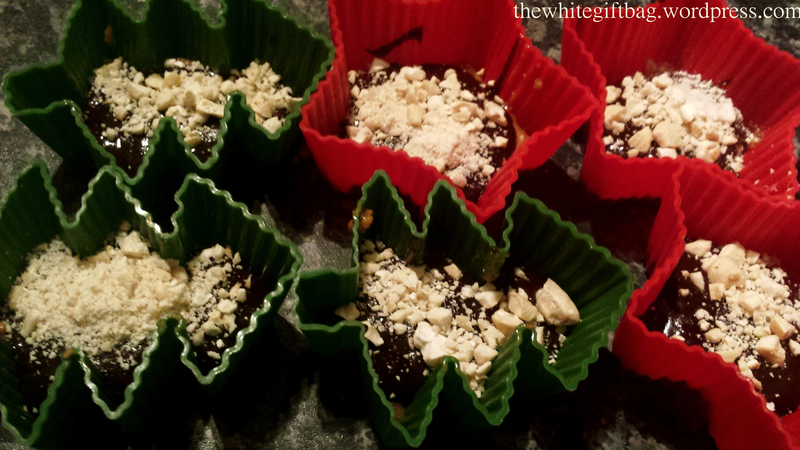 Finally, sprinkle the nuts across the muffin liners. 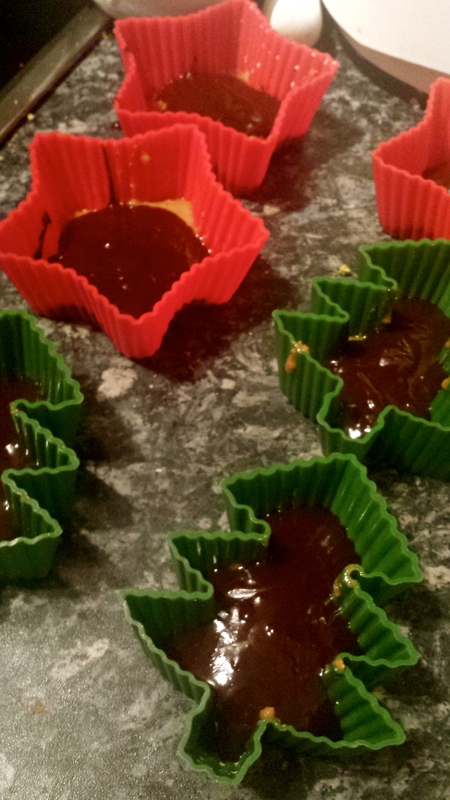 The chocolate peanut butter cups now have to sit in the fridge for at least 2 hours to become firm. Then just take them out and serve (or eat them yourself ;) ). Delicious!